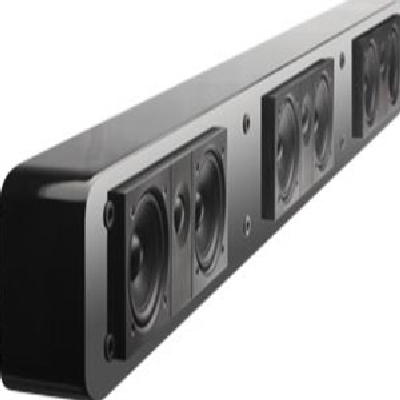 The H-PAS PowerBar 235 is a 43" long powered soundbar that delivers multi channel high-fidelity sound for your home entertainment system. It features Atlantic's H-PAS bass system, which produces deep, distortion-free bass without the need for a subwoofer! 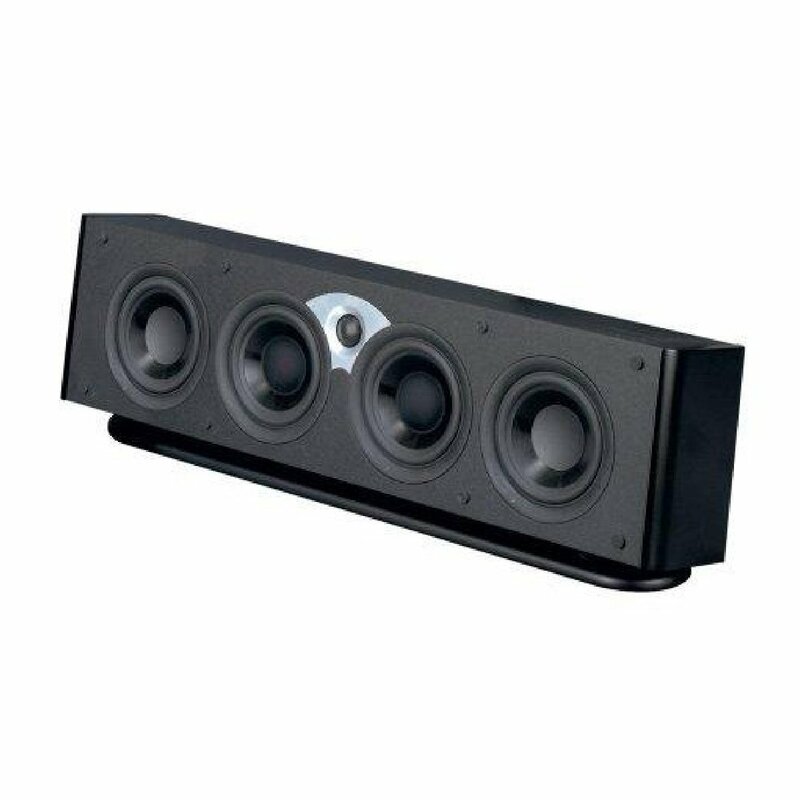 Real surround sound without all the boxes--The FS-7.1 Soundbar loudspeaker is a high-performance unit containing all seven home theater channels in a single elegant, slim enclosure. 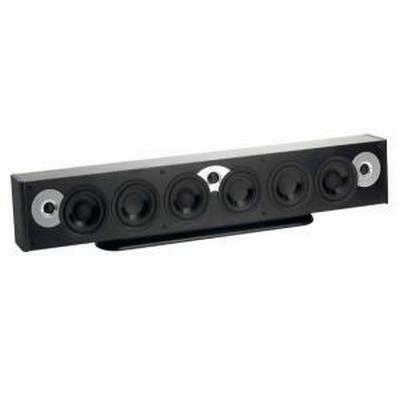 The speaker uses several advanced technologies to deliver convincing 7-channel surround sound. 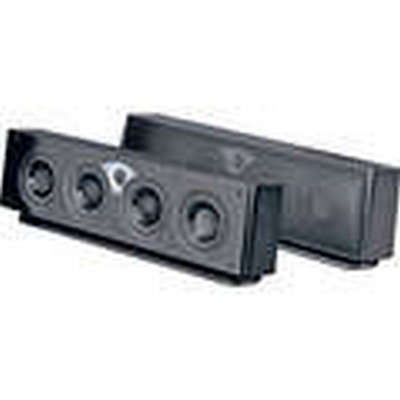 The two 4 x 6-inch speakers on the front baffle are unique: each is a dual voice-coil driver that handles the left (or right) front channel and "half" of the center channel. 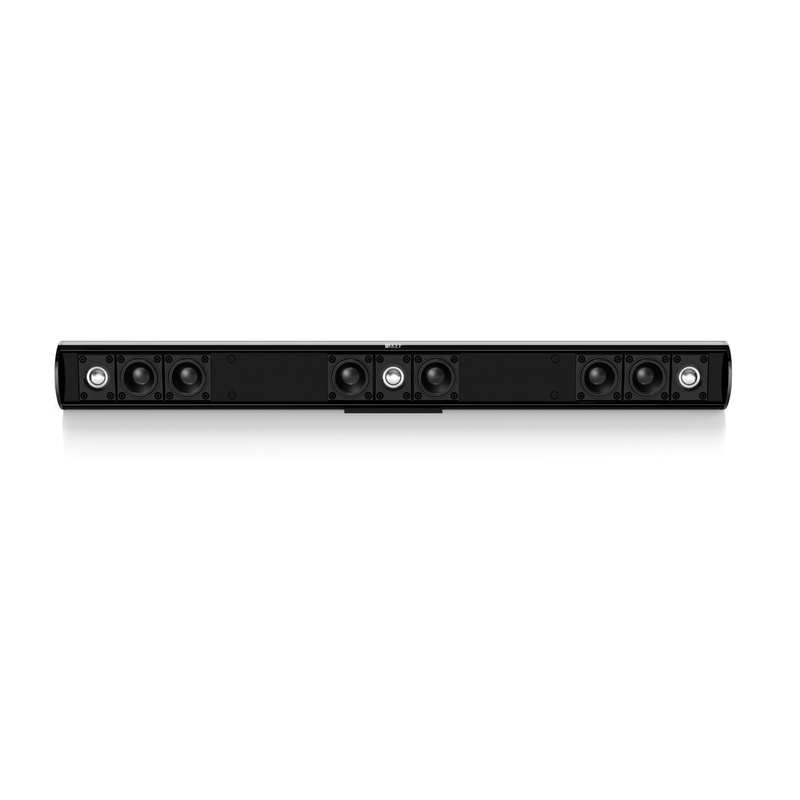 This preserves the tightly focused imaging of a top-quality theater system and also minimizes cabinet space. Innovation is also evident in the side-firing surround drivers. 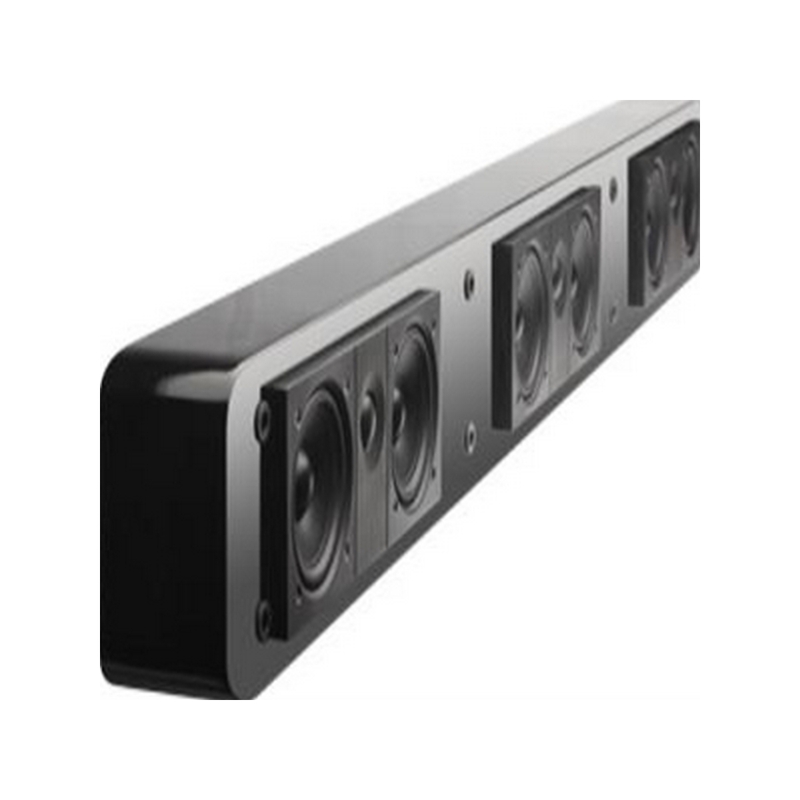 They are also dual voice-coil drivers, handling both the 5.1 and 7.1 surround channels. Plus, they are angled forward so they deliver convincing surround effects into the listening area even if there is no nearby reflecting sidewall.This allows the FS-7.1 to create impressive three-dimensional sound from a movie soundtrack--without the need or expense of on-board electronic gimmickry. 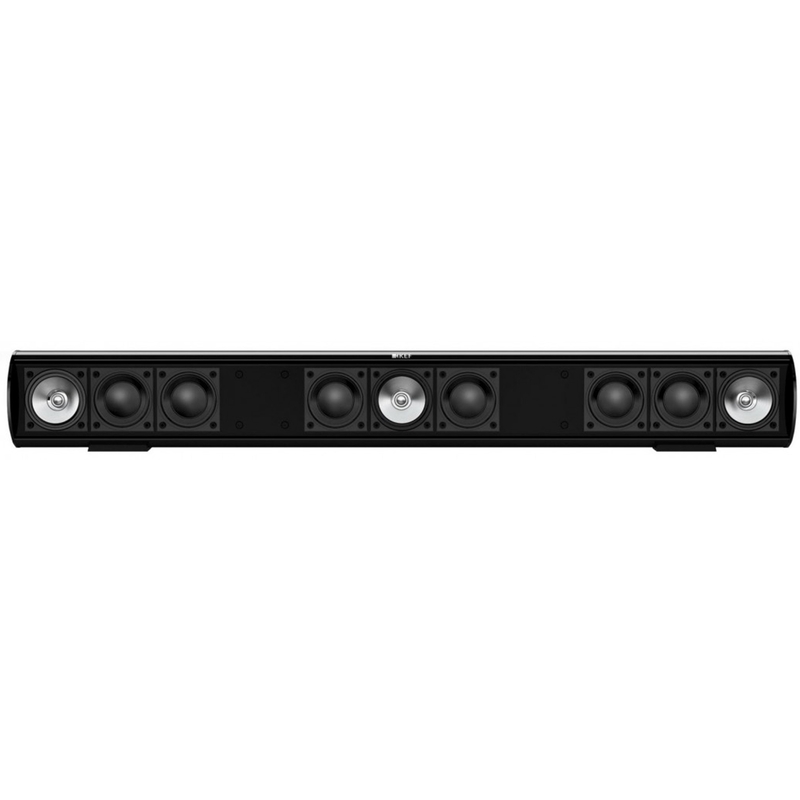 Atlantic Technologies Front Stage Loudspeaker- Gloss Black Finish - 40"
his sleek, 40"-long unit contains all three front speakers-left, center, and right-in a single enclosure. It's perfect for the growing number of customers who just want a simple, attractive, one-piece speaker solution under their fl at-screen television, without all the visual clutter of separate left, center, and right speakers surrounding their stylish, thin TV. The FS3 is a true, no-excuses high-fidelity loudspeaker system that contains all three front channel LCR speakers in a single enclosure. Its sleek, trim cabinet is sized and proportioned to look perfect when used with thin-panel LED/LCD TVs with screen sizes from 42-65 inches. 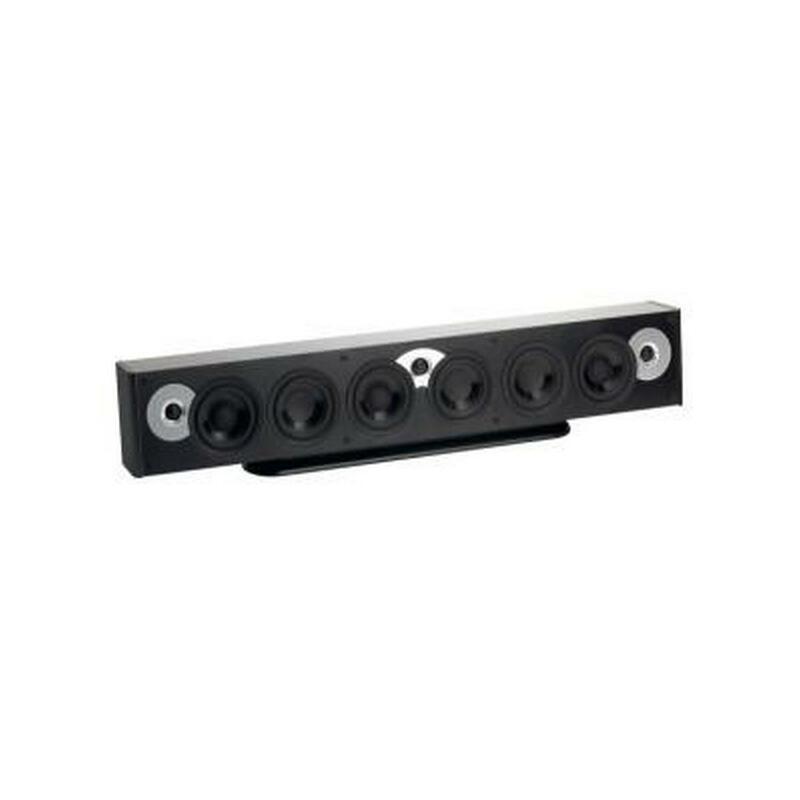 The FS3 can be wall-mounted, placed on a shelf or used with Atlantic’s special Shelf-2405, which provides a shelf attached directly to the flat screen TV itself. Acoustically, the FS3 is the genuine article. Drawing upon Atlantic Technology’s decades of expertise designing and manufacturing high-fidelity speaker systems of the very highest quality and performance, each of the three independent speaker systems within the enclosure contains two 3 ½-inch CPP woofers and an ultra-wide dispersion ¾-inch silk dome tweeter. Blended together by an audiophile-grade crossover network, the FS3’s sound is smooth, vibrant and spacious, with the unmistakable detail and effortless quality that marks the sound of a truly premium audio device. 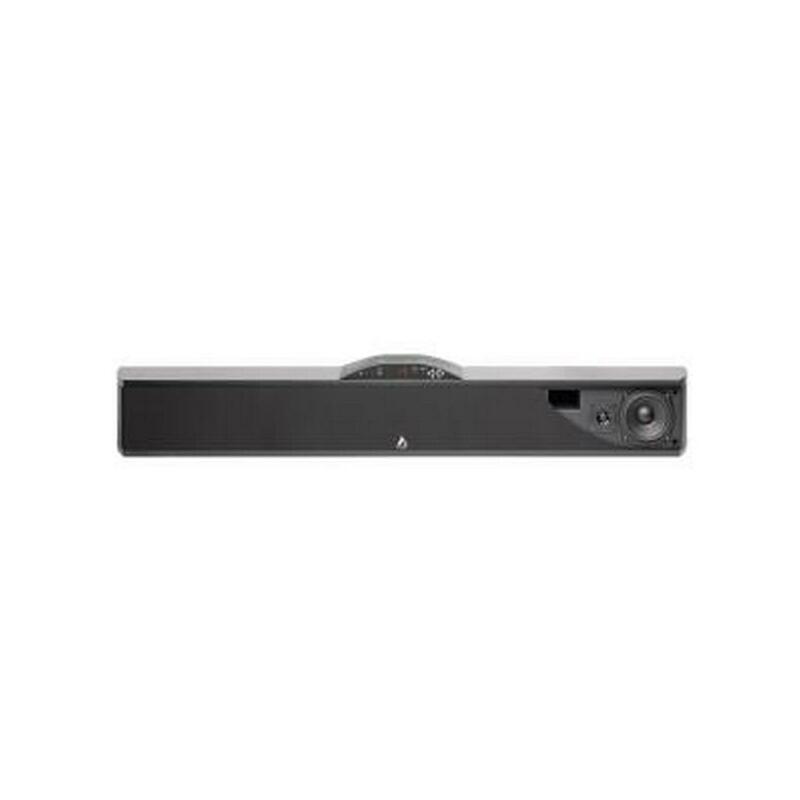 KEF-HTF8003 3 channel LCR passive Large Sound Bar. Designed to complement today’s stylish flat panel televisions 32in. 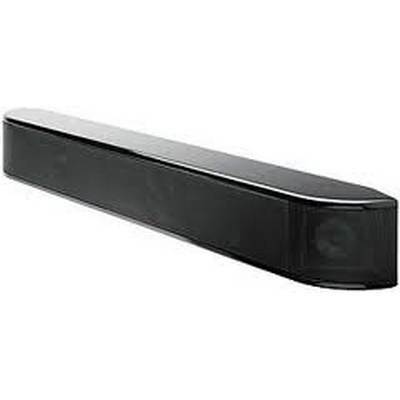 and larger, the HTF7003 soundbar may look diminutive, but the sound it produces is anything but. 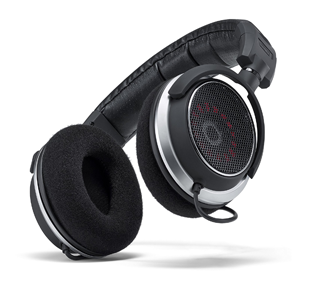 Listening to a movie on the HTF7003 is to be fully immersed in the soundtrack. With the sound this clear, detailed and dynamic, you will feel everything the actors are experiencing on screen. Whether it be the full range of emotions displayed in your favorite drama or all the action packed excitement of the latest blockbuster, the HTF7003 is sure to immerse you in the story. Reproducing the front soundstage with awesome realism, the HTF7003 soundbar’s stylish enclosure looks perfect under your flat screen. Each of the three channels contains dual 50mm (2in.) woofers and a 19mm (0.75in.) HF driver. For your convenience it comes supplied with a wall mount bracket and table stand. Because the front three channels are so perfectly matched, as the action on screen pans from side to side, the sonic image you hear will track the visual image perfectly. This will further enhance the realism of your cinematic experience. 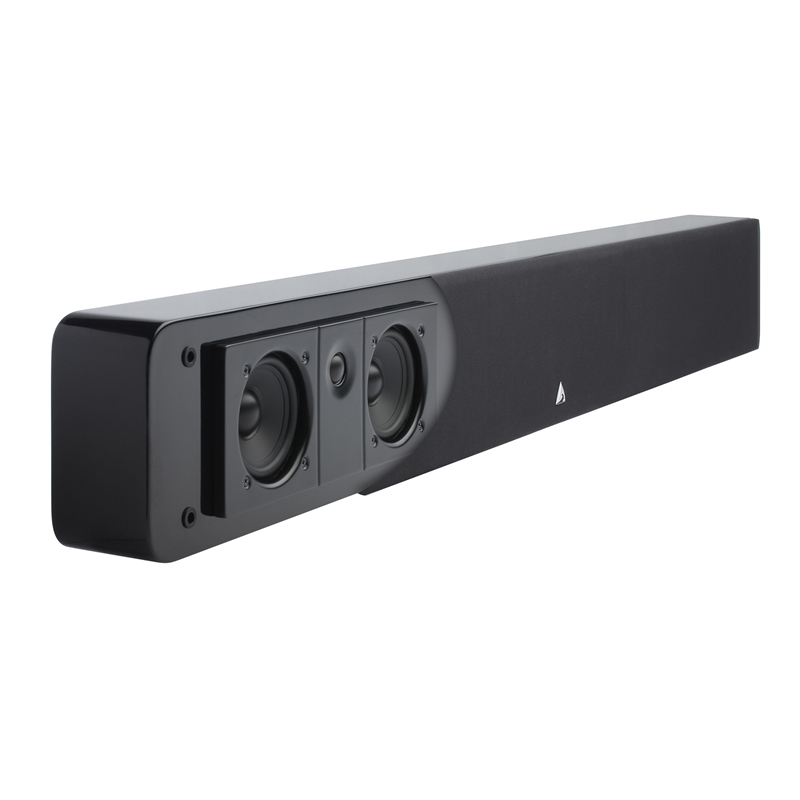 Whether the system is wall mounted or sitting on a cabinet, when you press play, the KEF HTF7003 soundbar will fill your whole room with the soundtrack and you will be transported into the action. Acoustically, the FS5 is the genuine article. Drawing upon Atlantic Technology’s decades of expertise designing and manufacturing high-fidelity speaker systems of the very highest quality and performance, each of the three independent speaker systems within the enclosure contains 4.5-inch CPP woofers and an ultra-wide dispersion ¾-inch silk dome tweeter. Blended together by an audiophile-grade crossover network, the FS5’s sound is smooth, vibrant and spacious, with the unmistakable detail and effortless quality found in all Atlantic Technology loudspeakers. Its response extends down to 80Hz, more than deep enough for any accompanying subwoofer to be totally non-localizable. 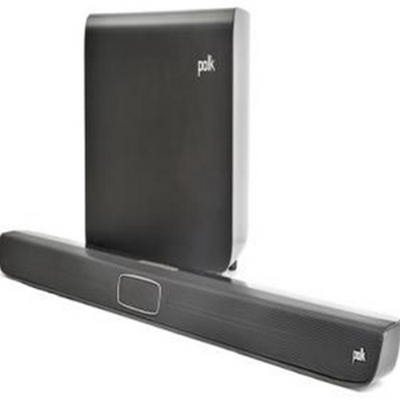 Kef HTC7001C Center channel soundbar with Uni-Q driver technology. KEF Soundbars, featuring our patented Uni-Q driver technology, offer amazing sonic imagery in one conveniently thin bar of sound. 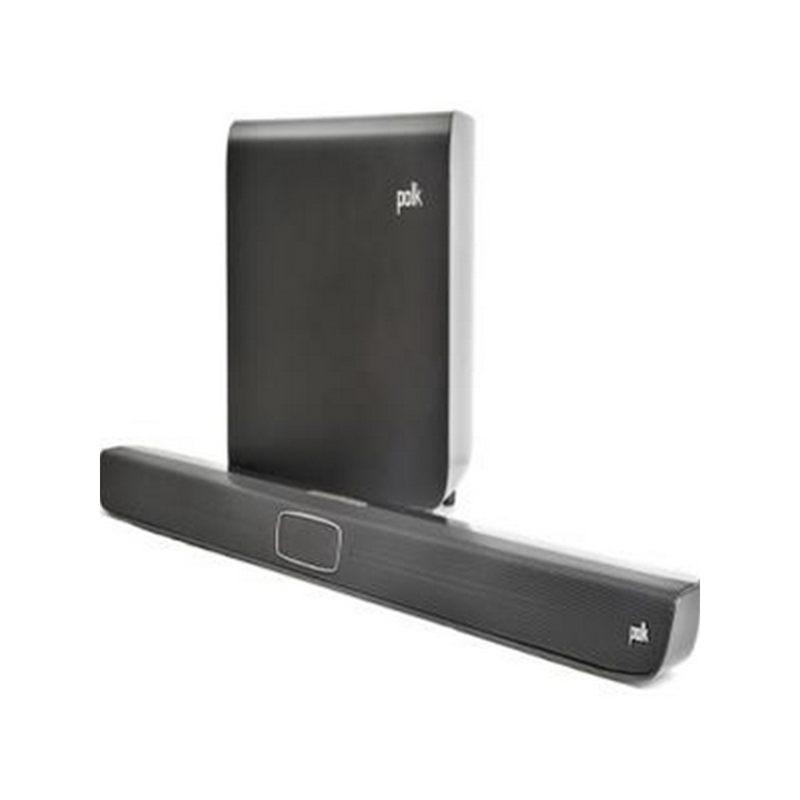 Kef HTC8001C Center channel soundbar with Uni-Q driver technology.